Effective Space will appoint IAI as the primary contractor of its SPACE DRONETM spacecraft, while IAI will work to complete the necessary approvals for equity investment in Effective Space. The term sheet follows more than a year of cooperation, during which both companies have been jointly working on the SPACE DRONETM spacecraft design. 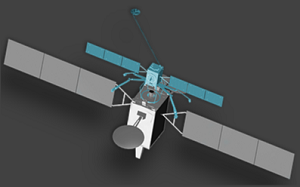 WASHINGTON, DC (ILS PR) — ILS, a U.S.-based leading global commercial launch services provider and UK headquartered Effective Space announce their intent to contract to deliver two of Effective Space’s SPACE DRONE™ spacecraft into orbit. The Proton Breeze M rideshare launch is planned for 2020 from the Baikonur Cosmodrome in Kazakhstan.